Astro strongly believe that education can transform and inspire people into shaping and building a greater future for themselves, their families, their community and ultimately our country. 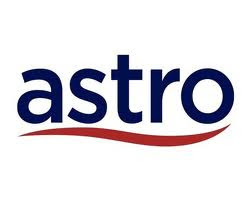 It is with this firm belief that Astro established the Astro Scholarship Award. Astro Scholarship Awards is a bursary reserved for Astro loyal subscribers and their immediate family members. Scholarships will be awarded for young Malaysians to pursue areas of studies related to the media and broadcasting industry in local universities or overseas universities and colleges recognised by JPA (Jabatan Perkhidmatan Awam). For listing of the countries and universities being offered, please refer here. No more than 21 years of age. Parents (or immediate family members) must be subscribers of Astro. Applicants must possess pre-university results for overseas university applications. SPM leavers are only eligible for local universities. Applicants must have consistent and outstanding academic results. Forecast results are accepted for students who are pursuing their A Levels; however it is only applicable for students who are completing their A2/ AL. Applicants would have to receive unconditional or conditional offer letter from the universities. Possess strong leadership skills and active participation in extra- curricular, social or voluntary activities. Not bonded with other companies/ institutions. Applicants have to be physically present in Malaysia in order to attend the Second Assessment. Obtained admission to pursue or currently pursuing studies at renowned universities. Apply online at Astro Scholarship Award 2012. Please fill in your personal details and submit your resume online. Short listed candidates will need to do the online assessment, which would take approximately one hour. Applications for Astro Scholarship Awards 2012 will close on 15 April 2012. Please refer to Astro Scholarship Awards 2012 for more details about the scholarship.